" I have always been an extremely passionate, emotional, and intuitive person. My art is an extension of my soul and spirit allowing my many moods, thoughts and feelings to surface in a tangible form. The creative process allows me to bring my world and vision into fruition. It is an exciting, magical world where anything is possible and anything can happen. I put a tremendous amount of time and emotion into all of my work. The intense feelings and work that I put into my art can at times be exhausting for me, but creating is something that I cannot live without. There is always a strong need and force that drives me to create. If I can successfully create what is in my mind's imagination, then my goal has been reached." Jill E. Ryan has been creating art ever since she was a young child and is an award winning artist. Jill's art has been sold and resides in the private collections of art lovers and collectors all across the country. Jill enjoys and has experience working in many different forms of artistic expression, some of which include sculpting, mixed media, photography, graphic design, jewelry making/design, painting, drawing/sketching, and writing. 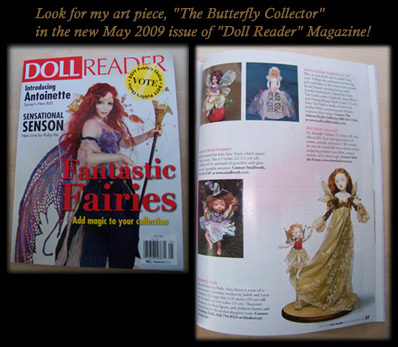 It was in 2001 that Jill first began creating her own fantasy based, One of a Kind, doll art sculptures in clay. This art form has since become her main creative focus over the course of the last several years. All of Jill's original art is always created from her own original designs and imagination. Jill never uses any molds or other shortcuts in creating her sculptures and doll art. From start to finish, Jill creates all of her One of a Kind art entirely by hand, and each One of a Kind art piece is a true artist's original that will never again be reproduced. 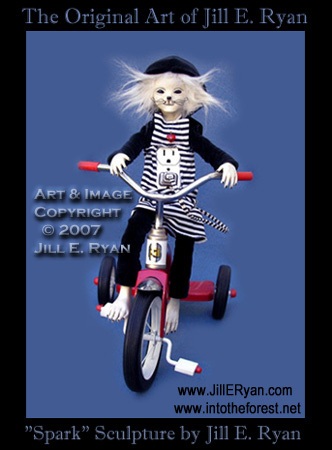 To date, Jill has designed, created, and sculpted by hand, hundreds of her One of a Kind, Original Doll Art Sculptures. Jill currently resides in Western New York. Aside from art, some of her other interests include animals, nature, music, photography, gardening, health, and fitness. Click on the banner above to visit Jill's Gallery at Epilogue.